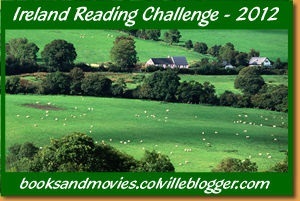 The 2012 Ireland Challenge is hosted by Books and Movies. If you know me at all, you'll know that I'm obsessed with all things Irish. In fact, the next novel I'm writing is set in Ireland (it should be out in 2012, so maybe you'll consider that for this challenge if you participate...keep it in mind!). I'm very excited about this challenge. ~ The challenge runs from January 1, 2012 to November 30, 2012. As of right now, I'm committing to Luck o' the Irish level - 6 books. Welcome to the Ireland Challenge! Cool challenge - I met some fantastic people from Ireland this summer! Keep it green!